"This recipe is bursting with flavor! It is fresh and spicy, and did I mention easy? 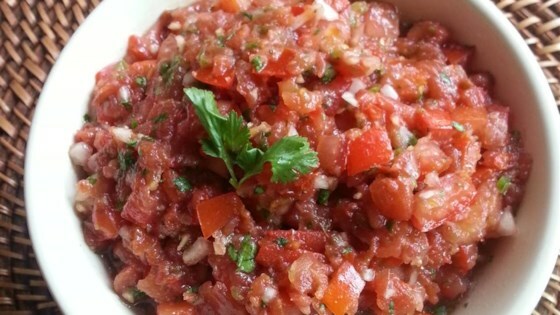 This is the closest thing to restaurant style salsa you will find. The jalapenos and hot pepper sauce (e.g., Tabasco) add spice to the mix and the cilantro, lime juice, and green onions create freshness."